Ever wanted to go foraging for mushrooms yourself, but don&apos;t know where to start? At our Mount Pisgah Arboretum mushroom workshops, using tools of observation, people can learn how to identify edible, poisonous and medicinal mushrooms. This helps prepare people to find and safely harvest mushrooms on their own. Most locals will head out past Oakridge or up into Fall Creek to find good foraging grounds. However, what you will find out there depends greatly on the time of year it is and the species you are looking for. The most popular--and tastiest--mushrooms found in Oregon are morels, golden chanterelles, king boletes and American matsutakes. Other edible species include the horn of plenty, the spreading-hedgehog, the shaggy parasol, the coral tooth, the black picoa and the Oregon white truffle. The damp conifer forests of the Pacific Northwest are the ideal breeding ground for edible wild mushrooms. 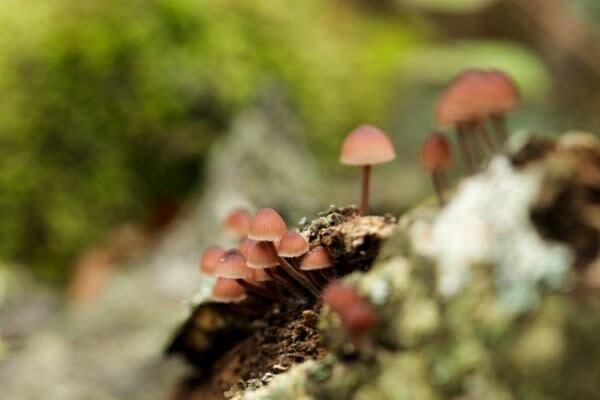 However, mushroom gathering can come with its dangers; lawless harvesters will try to protect lucrative hunting grounds from hobbyists, and poisonous mushrooms often masquerade as their edible counterparts. Still, if you know where to go and what you&apos;re looking for, wild mushroom hunting in Oregon can be well worth the risks. In general, the time to hunt for mushrooms is in the spring and fall when warm, wet weather provides ideal growing conditions. Each species, however, has its own "best" season. Edible morels are more abundant in the spring, and golden chanterelles and American matsutakes do better in the late summer and fall. King boletes can be found year-round depending on where you go--fall to spring at low elevations and late spring to summer in the high country. Wild mushrooms can be found throughout Oregon&apos;s conifer and hardwood forests. Mycorrhizal mushrooms such as boletes and matsutakes rely on trees to survive, so it makes sense to look for them in heavily forested areas with lots of pine trees. Morels, on the other hand, fruit best in logged out or burned areas, so you&apos;ll want to search in clear-cuts or after a forest fire. There will be many new hunting grounds after our recent summer fires! 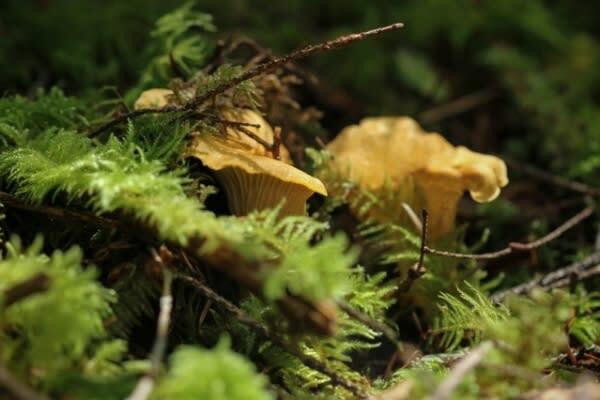 Look for golden chanterelles in the state&apos;s hardwood forests. Always get permission from property owners if you intend to search on private land. The most important thing to be careful of while hunting wild mushrooms, by far, are the look-alikes; inedible mushrooms that resemble the edible ones. Some of these, like the appropriately named death-cap, are toxic and are responsible for more than half of all mushroom-related fatalities and they are common here in Oregon. Always take an illustrated guide book when you go and, if there is any doubt, don&apos;t pick it. Use common sense when hunting for wild mushrooms in Oregon and, more often than not, you will have an enjoyable, delicious and perhaps even profitable experience. Another great resource for mushroom enthusiasts is Cascade Mycological Society. They are one of Mount Pisgah Arboretum&apos;s partners for the annual Mushroom Festival. Personal use permits are required in most of the state&apos;s forests although they are usually free. They grant the holder the right to either one or two pounds of mushrooms per day, depending on where you go. Commercial permits, which waive the collection limits but must be purchased, are required on all public lands in the state. Requirements change frequently, so check with the Cascade Mycological Society for updated information and for a list of Forest Service and Bureau of Land Management offices in the state. Mandy Shultz is the venue manager at Mount Pisgah Arboretum and currently lives in Eugene, Oregon. While many of her days are spent organizing events, her greatest passion is time spent outdoors with her family. As local mushroom enthusiasts, Mandy and her husband Lehi can be found with their two girls in toe, crawling the countryside throughout the season seeking the treasures that nature has to offer.